Save energy. Keep energy costs down and get $100! Over the past 20 years, the percentage of homes with air conditioning has nearly doubled for Ohio’s electric cooperatives. This means more electricity is needed during the summer, which can create times of high demand.  The Energy Cooperative must provide enough electricity for these times. The Cool Returns program helps control demand and future energy prices – but only if you participate. This energy management program allows you to help reduce energy usage when demand is for energy is at its highest, generally on extremely hot and humid summer days. Brief, periodic cycling of the central air conditioning system can reduce the demand for electricity during this time. And that can help keep your energy costs down. When you sign up for the Cool Returns program, a qualified HVAC representative installs a special switch on your central air conditioner. This does not control your thermostat or harm your cooling system. It simply cycles the compressor of your cooling unit for brief periods of time. Cool air continues to circulate through your home. Cycling periods are so brief that current program participants rarely experience a change in comfort. Cool Returns is the most recent addition to the energy management program of Ohio’s electric cooperatives. These programs have helped save members more than $100 million in energy costs through the years. The Cool Returns program lets you help control your future energy costs. Electric members of The Energy Cooperative with a central air conditioner or air-source or ground-source heat pump, installed within the last seven years*, are eligible to participate and this rebate is intended for residing electric members who will permit the installation and operation of a radio controlled switch (RCS) on their new air conditioner/heat pump. In doing so, it is understood that the RCS will be operated during peak demand times. These times are typically 2:00 P.M. to 6:00 P.M. The radio-controlled “smart” switches are not operated on a daily basis; they are operated only during peak times when the demand for electricity is very high. Once the “smart” switch is on, it automatically cycles the compressor during peak summer times. These peak demand times are temperature dependant, as the weather becomes very hot, the demand for electricity peaks. Most of the time the radio controlled switches are operated for a few hours and may only raise the temperature in the home a few degrees. The switch does not affect performance of the air conditioner/heat pump or cause wear and tear because the switch acts like a thermostat. Homeowners who have window air conditioners currently are not eligible. * The Energy Cooperative reserves the right to deem an air conditioner/heat pump installed within the last seven years unfit for the Cools Returns Rebate if the unit is functioning poorly or lacks maintenance. How do I participate in Cool Returns? It’s easy. Give us a call at 1-800-255-6815 ext: 1235 or download the PDF link below for more details and find out how you can get $100 for participating. You have the power to be part of the energy solution!